"As they age, people with Medicare often have varying needs, so combining Humana’s strong Medicare capabilities and Iora’s passionate and empathetic focus on patient care for older adults allows us to offer primary care focused on meeting those needs in the communities where they live." BOSTON & LOUISVILLE, Ky.--(BUSINESS WIRE)--Humana Medicare Advantage beneficiaries have additional access to high-impact, relationship-based primary care thanks to Iora Health and Humana Inc. (NYSE: HUM) teaming up for the fifth year to add 10 additional Iora Primary Care practices to Humana’s Medicare Advantage Plan network in Arizona, Georgia and Washington. Iora Health is building a different kind of health system to deliver high impact, relationship based care. 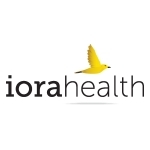 With a mission to restore humanity to health care and a goal to transform health care, Iora Health's care model provides extraordinary service to patients to improve outcomes while lowering overall health care costs. Our patients enjoy the benefits of better access to care, office and non-office based encounters (e.g. phone, text messages, and email), an accessible and transparent medical record, and robust educational offerings. Our practices across the U.S. enjoy the benefits of smaller panel sizes, closer relationships with patients, and the opportunity to lead systemic change in health care delivery while working with a true team.